doorLink 440 & 441 Long Grooved Panel - The Wright Door Co.
DoorLink’s Long Grooved Panel 440 & 441 doors are an updated version of a classic look. 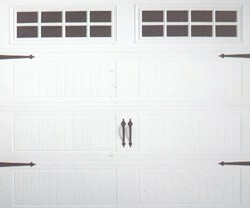 These look fantastic on wide doors and are a great garage door for two car garages. They are constructed with premium steel and last for years. 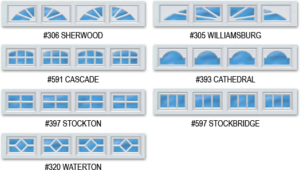 They also have a variety of options for windows, colors, hardware, and more. This is a popular choice with customers who want a distinct look and to add curb appeal to their home. Please see below for more information about the technical specs and options for these doors. *Example – Color may vary from actual product.